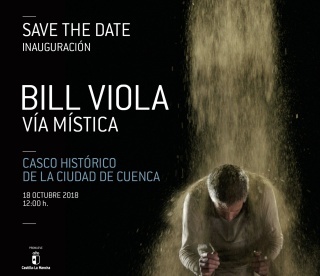 Bill Viola nació en Nueva York en 1951 y finalizó sus estudios en la Universidad de Siracusa en 1973. Pionero del videoarte, Viola ha creado instalaciones, vídeos/películas, entornos sonoros, proyecciones de vídeo sobre paneles planos y obras para conciertos, óperas y espacios sagrados durante más de cuarenta años. En sus obras en vídeo, Viola emplea con maestría sofisticadas tecnologías audiovisuales, a la vez que explora la espiritualidad y la percepción en la experiencia humana, centrándose en temas universales, como el nacimiento, la muerte, el despertar de la conciencia… Las fuentes del artista norteamericano proceden del arte de Oriente y Occidente, de las tradiciones espirituales del budismo zen, el sufismo islámico y el misticismo cristiano. Viola representó a EE. UU. en la Bienal de Venecia de 1995. Entre otras importantes exposiciones individuales, destacan Bill Viola: A 25-Year Survey, organizada por el Whitney Museum of American Art (1997); The Passions, en el J. Paul Getty Museum (2003); Hatsu-Yume (First Dream), en el Museo de Arte Mori, en Tokio (2006); Bill Viola, visioni interiori, en el Palazzo delle Esposizioni, de Roma (2008); Bill Viola, en el Grand Palais de París (2014); y Bill Viola: Electronic Renaissance, en el Palazzo Strozzi de Florencia (2017). Mártires (tierra, aire, fuego, agua) [Martyrs (Earth, Air, Fire, Water)], la primera de las dos obras permanentes realizadas para la Catedral de St. Paul de Londres, se inauguró en 2014, seguida por María (Mary, 2016). En 2004 Viola realizó un vídeo de cuatro horas de duración para la producción de Peter Sellars de la ópera de Wagner Tristán e Isolda, que se representó en numerosas ocasiones en EE. UU., Canadá, Europa y Japón. A lo largo de su carrera, Viola ha recibido numerosos premios y distinciones, como el premio de la Fundación MacArthur al “genio creativo” (1989), el XXI Premio Internacional Cataluña (2009) y el Praemium Imperiale, otorgado por la Asociación de Arte de Japón (2011). 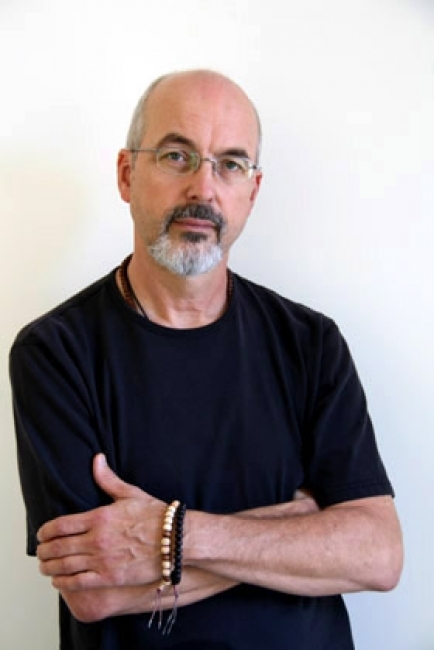 --------------------------- Bill Viola (b.1951) is internationally recognized as one of today’s leading artists. He has been instrumental in the establishment of video as a vital form of contemporary art, and in so doing has helped to greatly expand its scope in terms of technology, content, and historical reach. 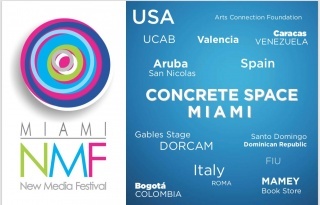 For 40 years he has created videotapes, architectural video installations, sound environments, electronic music performances, flat panel video pieces, and works for television broadcast. Viola’s video installations—total environments that envelop the viewer in image and sound—employ state-of-the-art technologies and are distinguished by their precision and direct simplicity. They are shown in museums and galleries worldwide and are found in many distinguished collections. His single channel videotapes have been widely broadcast and presented cinematically, while his writings have been extensively published, and translated for international readers. 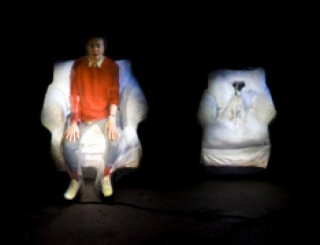 Viola uses video to explore the phenomena of sense perception as an avenue to self-knowledge. His works focus on universal human experiences—birth, death, the unfolding of consciousness—and have roots in both Eastern and Western art as well as spiritual traditions, including Zen Buddhism, Islamic Sufism, and Christian mysticism. Using the inner language of subjective thoughts and collective memories, his videos communicate to a wide audience, allowing viewers to experience the work directly, and in their own personal way. Bill Viola received his BFA in Experimental Studios from Syracuse University in 1973 where he studied visual art with Jack Nelson and electronic music with Franklin Morris. During the 1970s he lived for 18 months in Florence, Italy, as technical director of production for Art/Tapes/22, one of the first video art studios in Europe, and then traveled widely to study and record traditional performing arts in the Solomon Islands, Java, Bali, and Japan. Viola was invited to be artist-in-residence at the WNET Channel 13 Television Laboratory in New York from 1976-1980 where he created a series of works, many of which were premiered on television. In 1977 Viola was invited to show his videotapes at La Trobe University (Melbourne, Australia) by cultural arts director Kira Perov who, a year later, joined him in New York where they married and began a lifelong collaboration working and traveling together. In 1979 Viola and Perov traveled to the Sahara desert, Tunisia to record mirages. The following year Viola was awarded a U.S./Japan Creative Artist Fellowship and they lived in Japan for a year and a half where they studied Zen Buddhism with Master Daien Tanaka, and Viola became the first artist-in-residence at Sony Corporation’s Atsugi research laboratories. Viola and Perov returned to the U. S. at the end of 1981 and settled in Long Beach, California, initiating projects to create art works based on medical imaging technologies of the human body at a local hospital, animal consciousness at the San Diego Zoo, and fire walking rituals among the Hindu communities in Fiji. In 1987 they traveled for five months throughout the American Southwest photographing Native American rock art sites, and recording nocturnal desert landscapes with a series of specialized video cameras. More recently, at the end of 2005, they journeyed with their two sons to Dharamsala, India to record a prayer blessing with the Dalai Lama. Music has always been an important part of Viola’s life and work. From 1973-1980 he performed with avant-garde composer David Tudor as a member of his Rainforest ensemble, later called Composers Inside Electronics. Viola has also created videos to accompany music compositions including 20th century composer Edgard Varèse’ Déserts in 1994 with the Ensemble Modern, and, in 2000, a three-song video suite for the rock group Nine Inch Nails’ world tour. In 2004 Viola began collaborating with director Peter Sellars and conductor Esa-Pekka Salonen to create a new production of Richard Wagner’s opera, Tristan und Isolde, which was presented in project form by the Los Angeles Philharmonic in December 2004, and later at the Lincoln Center for the Performing Arts, New York (2007). The complete opera received its world premiere at the Opéra National de Paris, Bastille in April 2005. Since the early 1970s Viola’s video art works have been seen all over the world. Exhibitions include Bill Viola: Installations and Videotapes, Museum of Modern Art, New York, 1987; Bill Viola: Unseen Images, seven installations toured six venues in Europe, 1992-1994, organized by the Kunsthalle Düsseldorf and Kira Perov. Viola represented the U.S. at the 46th Venice Biennale in 1995 with Buried Secrets, a series of five new installation works. In 1997 the Whitney Museum of American Art organized Bill Viola: A 25-Year Survey that included over 35 installations and videotapes and traveled for two years to six museums in the United States and Europe. In 2002 Viola completed his most ambitious project, Going Forth By Day, a five part projected digital “fresco” cycle, his first work in High-Definition video, commissioned by the Deutsche Guggenheim Berlin and the Guggenheim Museum, New York. 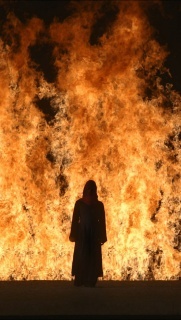 Bill Viola: The Passions, a new series inspired by late medieval and early Renaissance art, was exhibited at the J. Paul Getty Museum, Los Angeles in 2003 then traveled to the National Gallery, London, the Fondación “La Caixa” in Madrid and the National Gallery of Australia, Canberra. One of the largest exhibitions of Viola’s installations to date, Bill Viola: Hatsu-Yume (First Dream) (2006-2007), drew over 340,000 visitors to the Mori Art Museum in Tokyo. In 2007 nine installations were shown at the Zahenta National Gallery of Art, Warsaw; and Ocean Without a shore was created for the 15th century Church of San Gallo during the Venice Biennale. In 2008 Bill Viola: Visioni interiori, a survey exhibition organized by Kira Perov, was presented in Rome at the Palazzo delle Esposizioni. In 2014, twenty works were shown at the Grand Palais, Paris, in his largest survey exhibition to date, and a few months later, part one of the St. Paul’s commission was installed in the London cathedral, Martyrs (Earth, Air, Fire, Water). Viola has received numerous awards for his achievements, including the MacArthur Foundation Fellowship (1989), XXI Catalonia International Prize (2009), and the Praemium Imperiale from the Japan Art Association (2011).